Recently I completed sorting decades worth of photographs. It was a major task, part of my project to declutter my life, which I have started on several occasions. I have always enjoyed taking photos. Back in the day before digital photography this often meant taking several shots of the same place or group of people to ensure at least one was of a good standard. I kept all the shots that worked out. 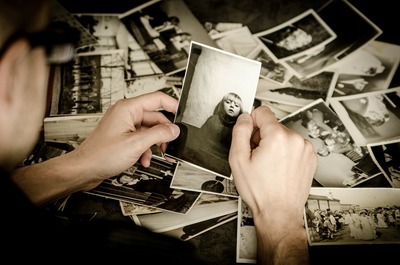 When my mother passed away I inherited many photos. Some brought back memories and were precious so I certainly didn't dispose of those. However, some were of places and people that meant nothing to me. They were now clutter. There were photos that others would appreciate so I posted those to where they would be loved. This included an album of neatly labelled photos from Mum's college days which I sent to the Old Scholars Association. Some photos are attractive but perhaps you already have a similar one in an album. It seems a pity to throw these out without at least trying to find something to do with them. However, my suggestion is don't get too hung up on finding a use for all of these photos or you will never finish sorting them. 1. Glue photos on the front and back covers of a notebook. 3. Buy a calendar with spaces for photos and add your photos. 4. 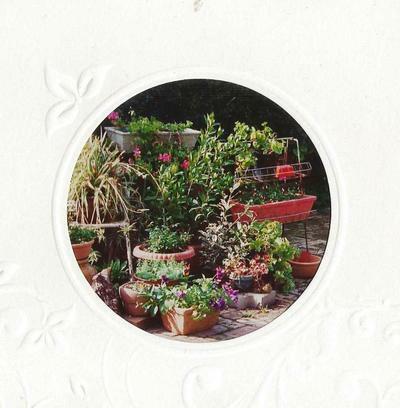 Buy a pack of cards and envelopes in a suitable colour and glue photos on to decorate. If you wish you can embellish your photos with bits of ribbon, lace, buttons etc. 5. Put unwanted pics in a container and leave in a conspicuous place for visitors to go through and pick out any they want. Decide on a date on which you will dispose of the leftovers so they aren't cluttering up your home forever. 6. Let children use them for whatever their imagination suggests. As you don't want the photos their creations may be all about the process and need not necessarily be kept when they are finished. 9. Donate to an arts college for their projects. Note You may decide to donate only those photos which do not include people, especially children. Perhaps you will feel more comfortable if you donate only snaps of scenery, flowers, buildings, cities and the like to strangers. Rip them up and put them in the bin. From what I have read it seems there are a number of metals and chemicals in older photographic paper which makes it unsuitable for recycling. 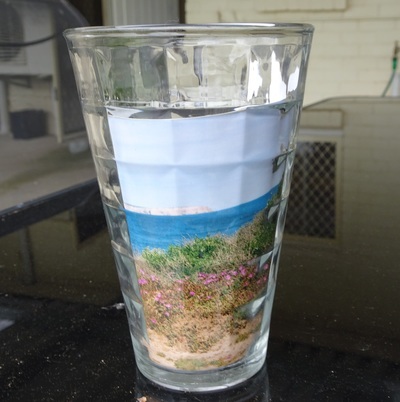 It may be possible for more recent snaps, printed using a photo printer, to be recycled but you would need to check with someone who knows the ins and outs of recycling. Sorting through decades of photos can be exhausting and take several weeks (or longer) but there is a sense of accomplishment when the project is done.